I am not sure who was more surprised the Sparrowhawk or me. 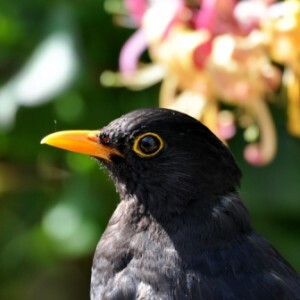 I was up really early to make the most of the promised sunshine before it got too hot.So I was out in the garden before most of the birds were up . 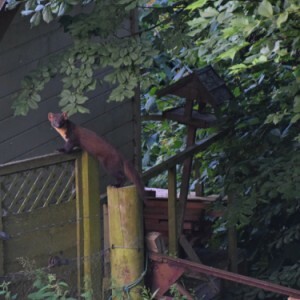 I watched as they started to appear including a young woodpecker and there was a brief glimpse of the pine marten. 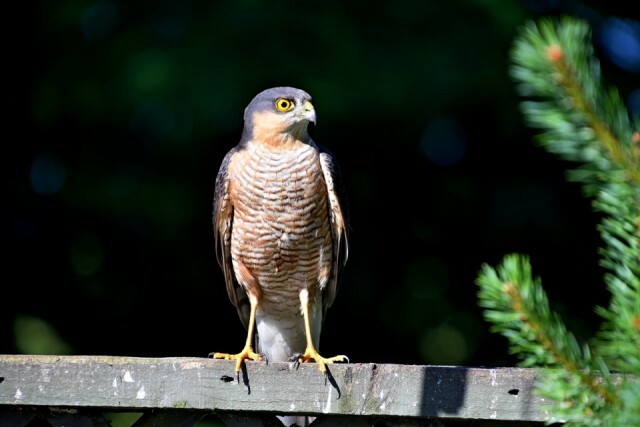 I changed seats and suddenly the male Sparrowhawk appeared from no where, missed it's prey and then sat on the fence right in front of me before flying off. The rest of the day stayed sunny and hot so I returned indoors every now and again to cool off. Mike's down South where the temperature is much hotter ,into the 30's.